I wish I had more time in this spot, but wedding days happen quickly and efficiently and you have to do the best you can. Hopefully will return here one day. The rooftop at the Riu Palace in Costa Rica at sunset is an epic location for photos. The beach also has beautiful sunsets, but the black sand is not an ideal location on the wedding day as the dress would not stay clean. We stayed clean since all the photos were done prior to the sunset ceremony by photographing around the resort. The Riu Palace in Costa Rica has incredible light for a resort. Open air hallways were ideal for detail photographs. I try and capture images unique to the location and my wedding couples. The dress photographed with this backdrop showed the location perfectly. Resort hotel rooms are not always the prettiest but if you can find a corner of the room with great light then you've got an ideal location for groom preparations. On our way to the first look, I asked my bride to look out the window as she walked by. I don't walk with my couples and chat, instead I walk a couple paces behind them and take as many pictures as I can when I see great light. I photograph portraits as many times throughout the day as possible. You never know what the day will hold if timelines fall apart then I'll have portraits to deliver. This great harsh light warranted a photo and I chose to photograph the bride with her ring sitting on the floor. A true capture of the group I was travelling with at this destination wedding with the candid, unposed rush to the camera photo. The first time I worked with this couple was on their wedding day, so the first thing I normally ask is for them to just walk back and forth for me and just look at each other. This way, I can photograph them in motion and see how they are together in front of the camera and with a little direction I can get great moments. 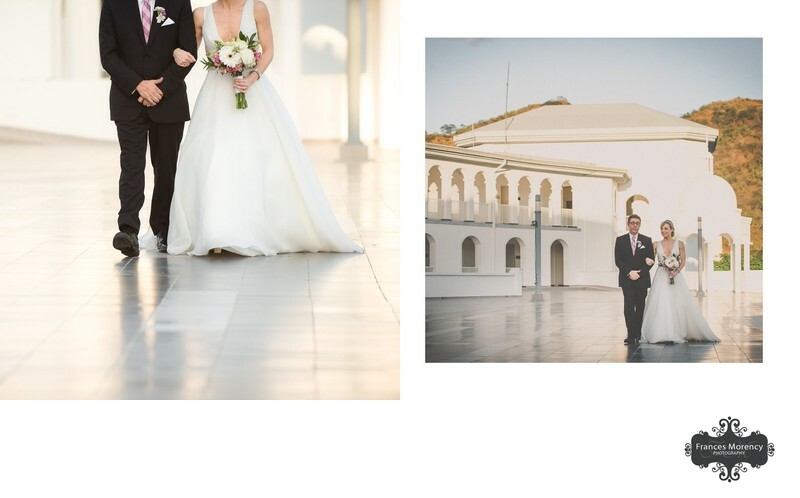 The location and the couple are gorgeous so no matter where I put them the images will be fabulous, but even more so when I get a connection from my bride and groom. Capturing landscape scenes with my couples is one of my favourite things to do and this location had epic landscapes and beautiful manicured gardens. Using a zoom lens like my favourite 70-200mm allows me to photograph my couples with a wide angle and get close up at the same location for multiple types of portraits. 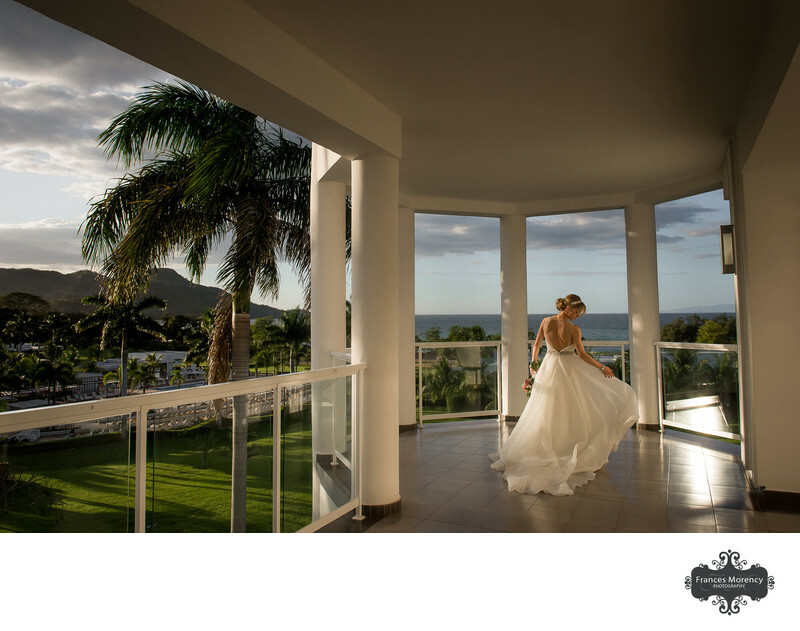 The Riu Palace deserved to be a backdrop on this wedding day and I chose to photograph them in this location so they would have something to remember about their destination wedding venue in Costa Rica. This was also the entrance to the beach and our cut off point so that we didn't get dirty before their sunset ceremony. 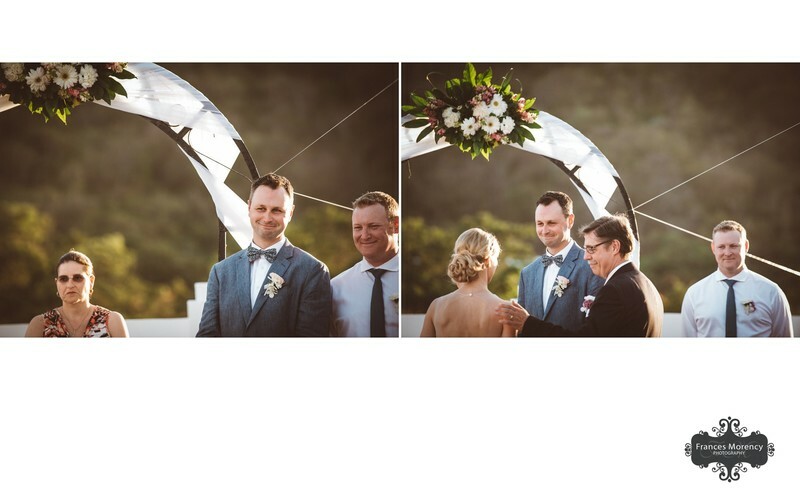 Couplescapes at every wedding are a must to give my couple panorama style wedding portraits. Palm trees are the ideal portrait backdrop to depict the fact that their destination wedding was in beautiful Costa Rica. I use my 24mm lens to give my clients great couplescapes. On our way back to the ceremony space after our portrait session. Again, I'm walking behind them to see if any moments will happen and I stay ready for anything. This time, I called my brides name and when she looked back at me I was ready to capture it. The rooftop ceremony at sunset was planned perfectly and the light was magical. The bride and her father took the long walk towards the sunset for the ceremony which gave me a lot of opportunity for great images. The first look can happen before a ceremony with a private "first look session" or it can happen while the bride is walking down the aisle. 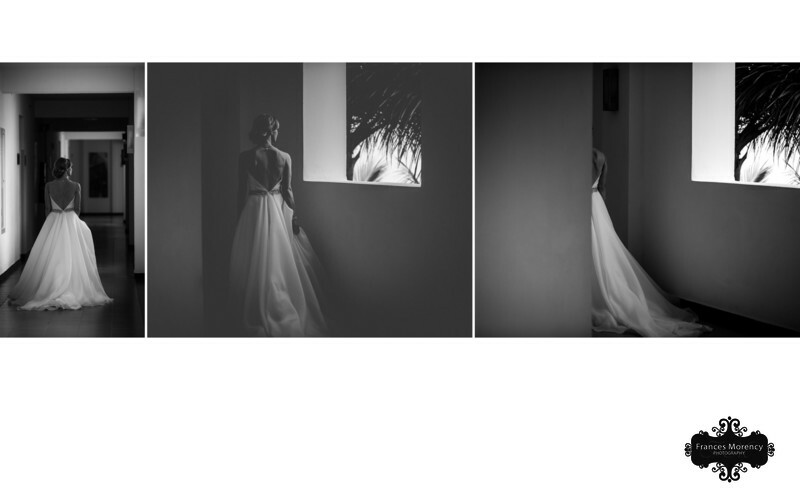 Sometimes you get the best first look two times in one day. The light was perfect for this roof top sunset ceremony at The Riu Palace in Costa Rica. 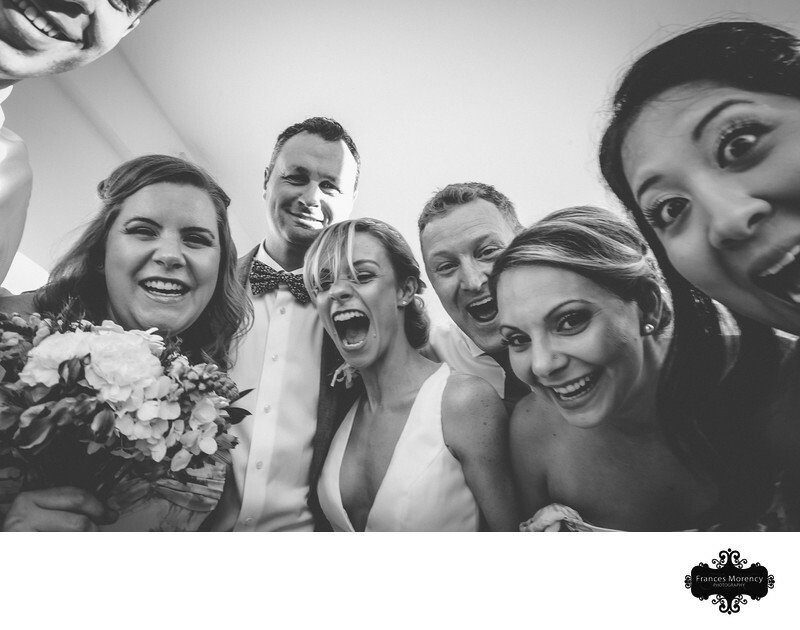 Capturing the moments during ceremonies is all about the moments in between. The spontaneous laughter, the giggles, the looks and the reactions. It's about the moment before the kiss and the looks after the kiss. As they walked off I instructed them to kiss and dip for their first kiss portrait during the ceremony. The first kiss should be captured when it happens, but I also like to photograph it after they walk down the aisle. 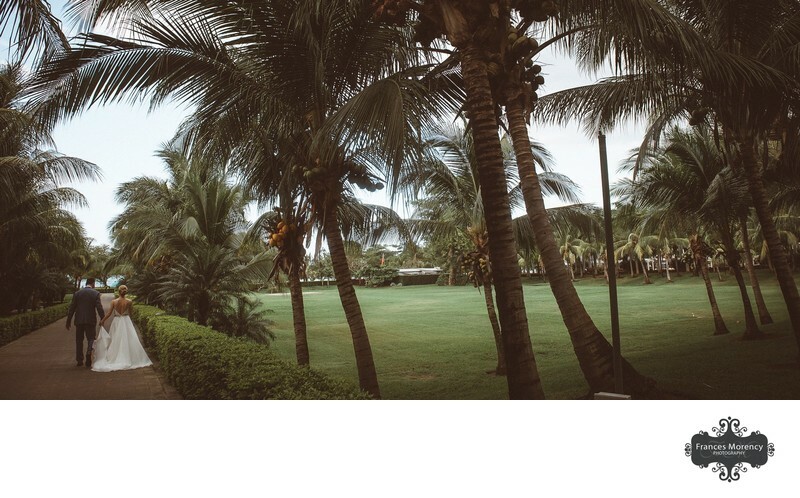 Location: The Riu Palace Costa . Keywords: Costa Rica (33), Riu Palace (24), rooftop (18), sunset ceremony (3). 1/250; f/6.3; ISO 2000; 24.0 mm.